“Do you see any young people in the audience? Classical music is relevant to everybody, anywhere. But the audience is globally getting older and smaller, while the need for the values of classical music seems to constantly rise…” It was Maestro Daniel Barenboim who first mentioned this to me when I was touring with him and his “West Eastern Divan” orchestra in the summer of 2005. And indeed, as the tour went on in Europe, and then in South America, I started looking more closely at the audience attending these concerts. In every country it was about the same – almost the entire audience were 50 and above, with an estimated average age of about 65 years old. He was right, and it got me thinking. How come there are no 20-30 year olds’ attending these super high quality concerts (some of them with free entrance!)? The obvious answer that came to mind is that classical music requires a certain amount of education and knowledge to enjoy. Obviously, there isn’t enough of that happening, and obviously, I should be doing something about it. I decided to join a program for students in kindergarten to 4th grade. We would travel to classrooms, playing classical music and would then lead discussions and answer questions. I found myself giving 30 concerts a month in classes all over Jerusalem (where I studied and received my BA in Music). It was a super exciting time for me, seeing kids listen and enjoy classical music (the younger they were, the more they enjoyed it), and I think I made an impact in helping kids to learn and appreciate musical instruments. But apparently, there was another broken link in the chain which I hadn’t considered. I stumbled upon this statistic only later, as I was completing my Masters in Germany. It turns out that over 80% of people who start learning a musical instrument will quit during the first year or two. Are we, music teachers, doing something wrong? Was it always like that?! So that got me thinking, again. Music education hasn’t developed much in the last 400 years except for the publishing of colorful books and an accompaniment CD. I still remember my old recorder teacher giving me practicing tips and tricks she read that J.S.Bach used himself (which is pretty astonishing if you think about it). However, if you consider the development of the TV and computer game industry in the last 20 years, you suddenly understand these numbers a bit more. Of course our students are bound to quit more than before! 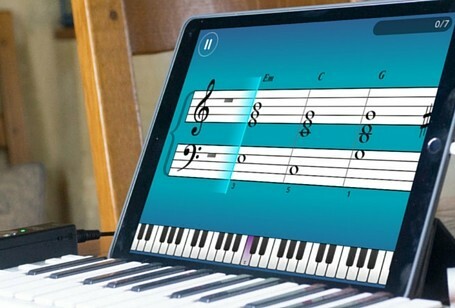 As a kid in your first 2 years of study, when you’re still struggling with basic sight reading and technique that requires so much time and effort, and you still haven’t found out the true joy of music making, wouldn’t you rather play an interactive game filled with shiny colors and fun challenges? So I knew this was the broken link I needed to fix – get more kids to STAY in their music lessons, and pass the first frustrating steps of learning music successfully. If they stay longer, they have a better chance to get to the really fun part of music making and become musicians, or at least music lovers in their adult years. You can imagine how this line of thought lead to the foundation of JoyTunes together with my brother Yuval. We decided we’re going to harness the power of games and use them for good, and create a fun practicing platform that’s going to be a new step in music education. You are so lucky to get to work with Daniel! I’m jealous! 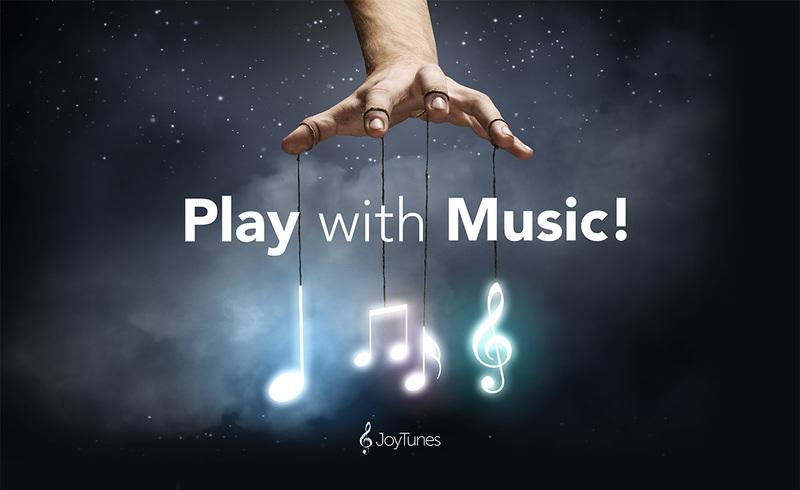 Thank you for helping to develop Piano Maestro – You are spot on about keeping kids engaged with music and giving them a way to make exciting music early on! What a COOL testimony, Yigal. You are actively and successfully making a difference. The Classical music audience will get younger and larger thanks to your ongoing efforts. Nice post! you can’t imagine how your works has changed my life and my students life. I’m very impressed with your app and activities.